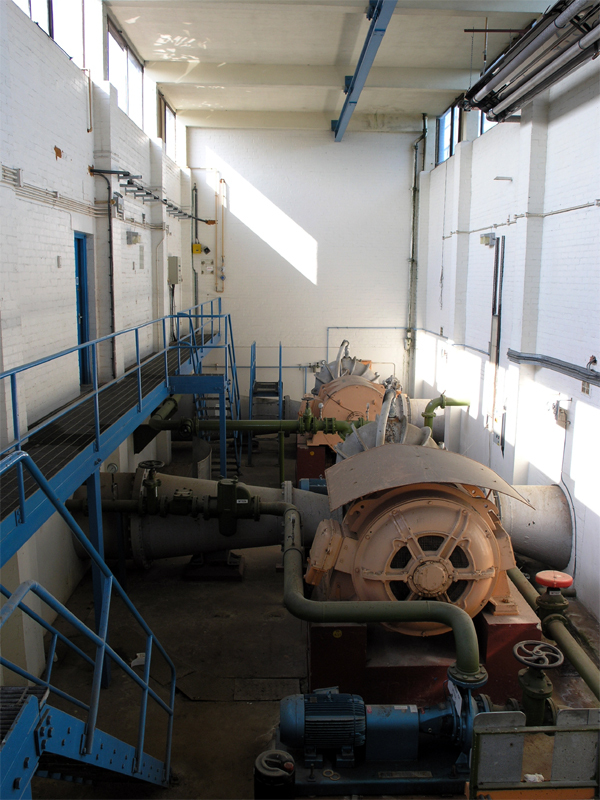 The two pumps are installed in a sunken sub-basement and the connecting pipes between the altitude test cells and the cooling tower can easily be seen. The catwalk is actually at ground level and two doors enter the switchgear room to the west. Northern view of the pumping plant in W.P.H. 10.